For some of you who have been watching, you will see that the restoration of the Pioneer Monument in Truckee is on the horizon. This was the Native Sons first major project and was completed in 1918 after 20 years in the planning. The hope is that the restoration will not take that long. There will be an event of some kind near the date of June 6, 2018 to recognize a step in this new adventure. This will be a long and arduous process which is much different than what the HPF has been doing for last several years. The Pioneer Monument is not only a representation of that iconic era of California history, it is when the Native Sons stepped up to the plate and took the lead and had the staying power of taking on a significant project. Not only was this a major accomplishment for the State of California, it was a major project for the Native Sons which culminated with the donation of the land and statue to the State of California in 1928 to be “maintained in perpetuity”. From the purchase of Sutter’s Fort in 1890 and the construction of the Marshall Monument also in 1890, the following 40 years put the Native Sons in the forefront of historical societies in California. For the last several years, the HPF has been in a comfortable niche of awarding grants in the $500 to $5000 range with a few times going more. Some of the larger grants have been pledges until enough progress or assurances have been provided to complete the grant process. In addition many of the grants have been for matching funds either from a local parlor, organization, or a governmental agency. 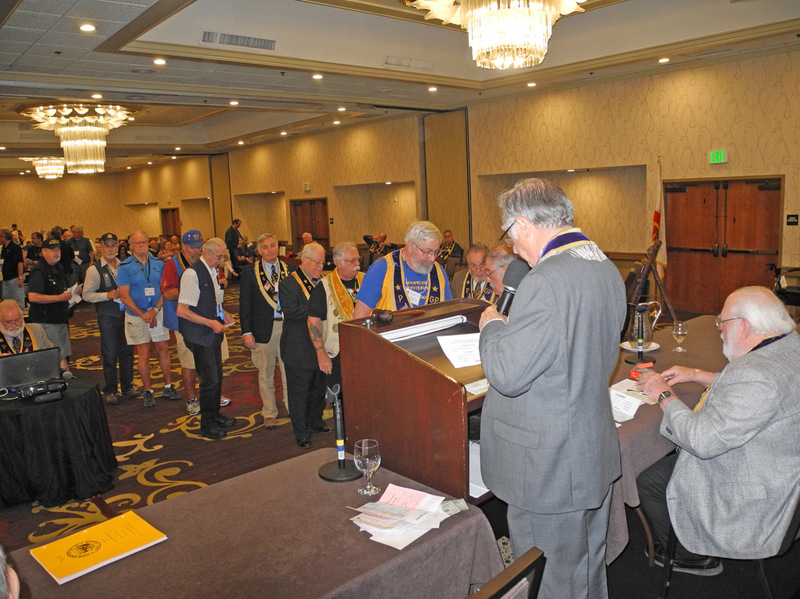 It should be noted that none of the growth of the HPF would even be possible without the continued support and confidence of the members and parlors of the Native Sons of the Golden West. The above mentioned project, the Pioneer Monument, is an opportunity to get back into our roots and be in the forefront of recognizing California history, but it comes with several caveats. The biggest one is the State of California itself and its bureaucratic processes. Unfortunately even though the bureaucracy is a burden it is sometimes a governmental requirement for the completion of any project. For any group to be successful it is important to recognize this and figure out how to move forward. This past August 22 & 23, Krakower Structural Engineers and Griswold Conservation spent time going up and down the statue and pedestal probing, measuring, and looking. Step One is complete. Their report will be ready in October (Step Two), which should give us an idea of what this project will cost. The next steps or iterations will be time consuming and bureaucratic and I do not know how many or how long they will be. From this point it will be up to the State of California to determine how much it will fund. That is where the Sierra State Parks Foundation in collaboration with the HPF will come in. The Native Sons and HPF’s recent history with the State of California is to not go too far out on the limb until it is fully supported. But that does not stop the HPF from investigating and building a team in advance to get a project of this magnitude moving and completed once it starts. The new role which the Board of Directors of the HPF has endorsed will require expenditure of funds. It will take money to generate the amount of funding necessary to bring this project to a successful completion. And just as happened in 1918, Native Sons will need to take a lead role by securing funding from other sources. The Pioneer Monument restoration represents the continued growth of the HPF over the years. The HPF will maintain its “bread and butter” of using mini-grants or small grants for many projects. They give the HPF the ability to make an impact quickly and to keep the HPF in the public eye. This is not a change in direction or focus; it is more of an evolution. The obvious mission of the HPF is the education and preservation of California history. 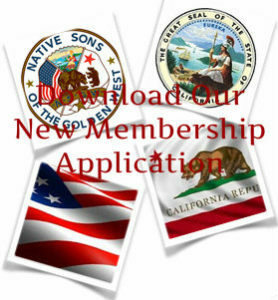 A hidden agenda of the HPF is increased membership in the Native Sons of the Golden West. Personally as a firm believer in the phrase “if you build it they will come”. In this case we can adapt that to “if you rebuild it, they will come again”. In closing I would like to ask for your support of the Pioneer Monument project and for your comments on our involvement with a project of this magnitude. We are all Native Sons working for the same goals and your opinions are important to us. The HPF is available to come out and talk to you about this project and our foundation, so don’t hesitate to contact us.